All tours will begin at our Cusco office located at Av. Peru O-45, 2nd Floor, Urb. Manahuañunca, Santiago, Cusco. 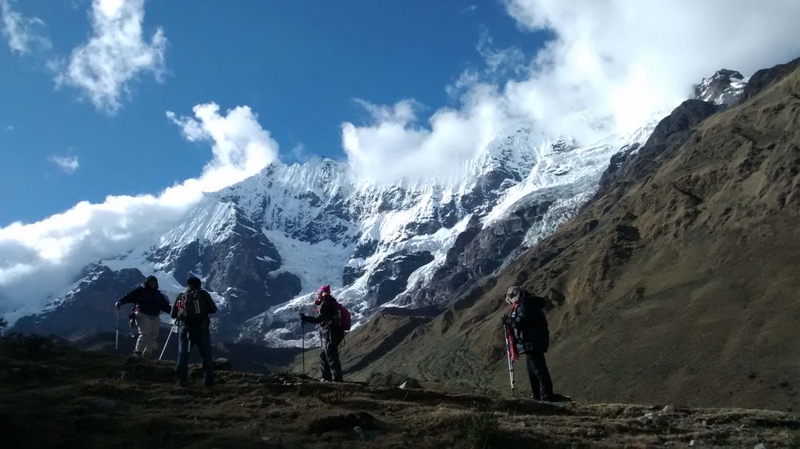 We are also happy to pick you up at your hotel in private transport with prior arrangement in either Cusco or the Sacred Valley, wherever is most convenient for you. While we can start out at any time according to your preference, we recommend an early start, heading up to the sites above the city before they get crowded and then heading back to the sites with the city. Sacsayhuaman - Probably the most impressive Inca archaeological site near Cusco, the ruins are known particularly for the immense size of the stones used in its construction – the largest of which some say reaches 200 tons in weight. Qenqo – An Inca ceremonial site, walking through the cave-like structure makes it easy to imagine having taken a trip back in time. Puka Pukara – An old Inca fortress, it may have been used as a checkpoint for people entering the Inca Imperial city. 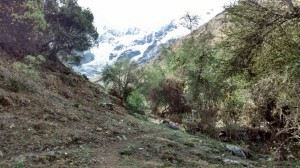 Tambomachay – A temple dedicated to water, the site has a natural spring which was likely worshipped and used for ritual bathing and purification. After this, whether permitting, we can take an easy hike down to the city, stopping to have a picnic lunch along the way. 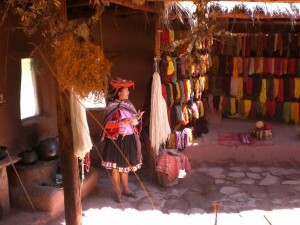 In town, we will then visit the Cathedral and Qoricancha, the Temple of the Sun. Cathedral – This colonial style church is particularly known for the artwork within, from the Cusqueño school of art. A must-see is the version of the last supper, with guinea pig holding the place of honor in the meal. Qoricancha – The former Temple of the Sun was the most important temple in the Inca Empire and, although a colonial monastery was built on top of it, it is still possible to see outstanding Inca architecture and get a feel for how it once was. You will have your guide available for the full day, so feel free to let him or her know about other interests. A visit to the traditional market of San Pedro, for example, is always worth a trip. Or, if you have any shopping or other needs to attend to, we will be happy to help you find the best places to go. The tour will begin at our Cusco office located at Av. Peru O-45, 2nd Floor, Urb. 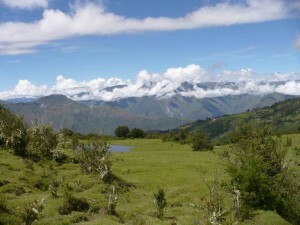 Manahuañunca, Santiago, Cusco. We are also happy to pick you up at your hotel in private transport with prior arrangement in either Cusco or the Sacred Valley, wherever is most convenient for you. Transport will be provided between all sites, unless the hiking option is included. The guided tour is offered at a flat rate of $215 for 1 or 2people; $260 for 3 to 7 people. (The difference is due to the size vehicle that must be used for transport.) If desired, we will include, free of charge, pick up from the airport on your arrival into Cusco, even if it is on a different day. Box lunches are available at varying rates, depending on the size and type. The Boleto Turistico is currently 70 soles per person for the Cusco tour; 130 soles for a complete ticket that includes entrance into sites in the Sacred and South valleys. Entrance to the Cathedral is 25 soles per person; Qoricancha is 15 soles per person. While we can start out at any time according to your preference, we recommend starting out around 8:00am in order to have plenty of time at each site. Ollantaytambo – We’ll start out at the site farthest away to give you time to rest in the car if you are still sleepy. Plus, the best cafes for getting a caffeine boost are there too! This is an impressive Inca site above a town that is still organized much as it was during Inca times. After spending the morning in the town and site, we will take you to a delicious Peruvian lunch buffet, in a beautiful setting alongside the river before heading to out other destinations. Maras – We’ll drive through this town, known for its colonial era doors on the way to Moray. Moray – Circular agricultural terraces, the typical explanation is that they were used as a type of research center. Now, however, this has been called into some doubt. Regardless, they are enigmatic and beautiful. Salineras – The salt flats of Salineras have been in use since the time of the Incas to provide the much desired seasoning. They create a gorgeous patchwork scenery, and you can often still see families working their personal square today as they have for generations. Following this, we will return you to your hotel in Cusco or the Sacred Valley. You will have your guide available for the full day, so you can spend as much or as little time in each place as you like. If you are interested in purchasing weavings, we can make a stop in Chinchero on the way, known for the quality of its textiles. All tours will begin at our Cusco office located at Av. Peru O-45, 2nd Floor, Urb. Manahuañunca, Santiago, Cusco. We are also happy to pick you up at your hotel in private transport with prior arrangement in either Cusco or the Sacred Valley, wherever is most convenient for you. Transport will be provided between all sites, unless the hiking option is included. The cost of lunch will depend on where we stop. We recommend Tunupa, which is about 60 soles per person, not including beverages. The Boleto Turistico is currently 70 soles per person for the Cusco tour; 130 soles for a complete ticket that includes entrance into sites in the Sacred and South valleys. Entrance to the Salineras is 10 soles per person. While we can start out at any time according to your preference, we recommend an early start, heading up to the sites above the city before they get crowded and getting you to Pisac in time to stop off for lunch before visiting the ruins above. 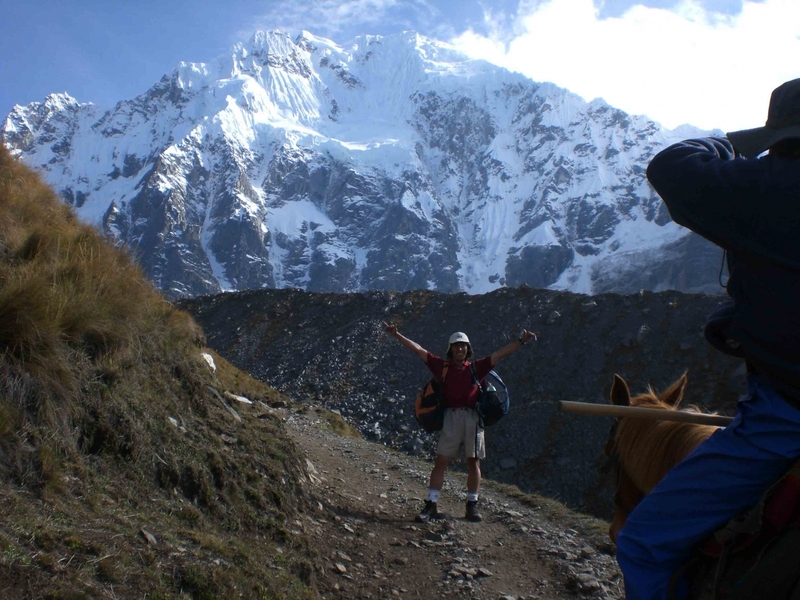 This alternative is particularly recommended if you are moving from a Cusco to a Sacred Valley hotel. After this, we will head to Pisac where we can stop off for lunch. If you’re interested, we can make a stop at Awanacancha along the way. 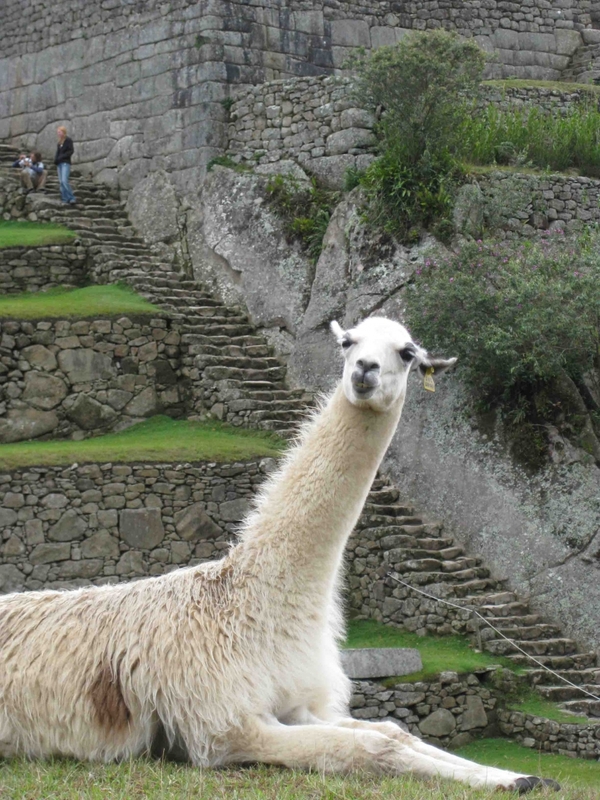 Here, you will learn about the difference between a llama and an alpaca, get to feed the animals, and also learn about weaving techniques. There is also a high-quality store on site. Pisac – One of the most outstanding Inca sites in the Sacred Valley is Pisac, located high on a hill looking over a town of the same name. Although the sacred temple areas were closed during 2016, the other areas are still fascinating to visit, and we hope that the temples will be reopened at some point in the future. You will have your guide available for the full day, so feel free to let him or her know about other interests. In particular, if you are interested in shopping, there are now better, less expensive, and more authentic places than the Pisac market which used to be the place to go. The cost for lunch will depend on where we stop– we will give you options and you can decide according to your preference. The Boleto Turistico is currently 70 soles per person for the Cusco tour; 130 soles for a complete ticket that includes entrance into sites in the Sacred and South valleys. The entrance to the Andahuaylillas church is 10 soles. While we can start out at any time according to your preference, we recommend an early start so we can get to Tipon in the morning. Tipon – A beautiful sacred site dedicated to water, the site is includes a vast number of water channels and pools still functioning today. Best of all, it is not highly visited so you often have the site to yourself or with just a few other people. Pikillacta – Actually a pre-Inca site from the Wari culture, it is a great opportunity to visit archaeological remains from a different civilization. Andahuaylillas – The high point here is the old colonial church, referred to many as the Sistine Chapel of the Americas because of the quality of the murals within it. Although the area is not known for its high quality restaurants, we will pass through towns that are particularly known for cuy (guinea pig) and chicharron (fried pork belly). While you may not want to make a full meal of either, it is the perfect place to at least give them a try. A side trip to sample the oven baked bread at Oropesa is also worth the effort. You will have your guide available for the full day, so feel free to let him or her know about other interests. All tours will begin at our Cusco office located at Av. Peru O-45, 2nd Floor, Urb. Manahuañunca, Santiago, Cusco. We are also happy to pick you up at your hotel in private transport with prior arrangement in either Cusco or the Sacred Valley, wherever is most convenient for you. Transport will be provided between all sites.